At the juncture Dist. Session judge Ravindra maheshwari welcomed honorable justice and assured that employees of the court would be taken care by us. Latter elected president of Raj. Nyayik Karmchari Sanph Udaipur. Administered oath to the jumbo cabinet nominated by him. In this oath ceremony Rao Ratan Singh member of Raj. 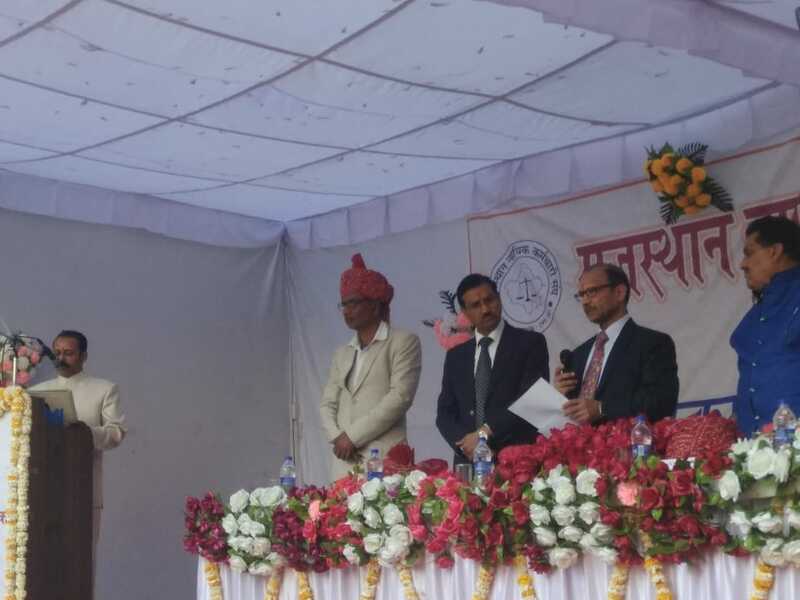 Bar Council, State President of Raj. Nyayik Karmchari Sanph Mr. N. S. Tanwar shared the dais.